Once again the lack of internet has been an issue but there is good news on the birding front. I have visited a great RSPB reserve called Leighton Moss in Lancashire and managed to lift my list to over 80 species of birds but before that I must update my window views. 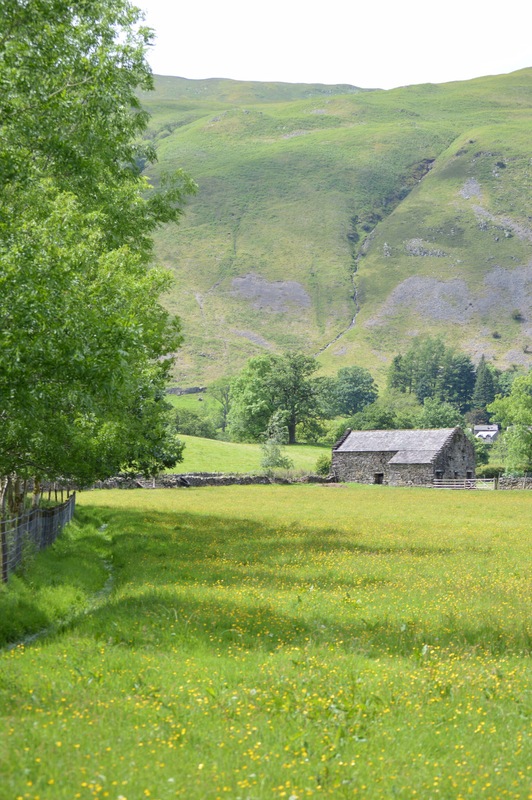 After leaving Scarborough I drove across Yorkshire to the Lakes district. 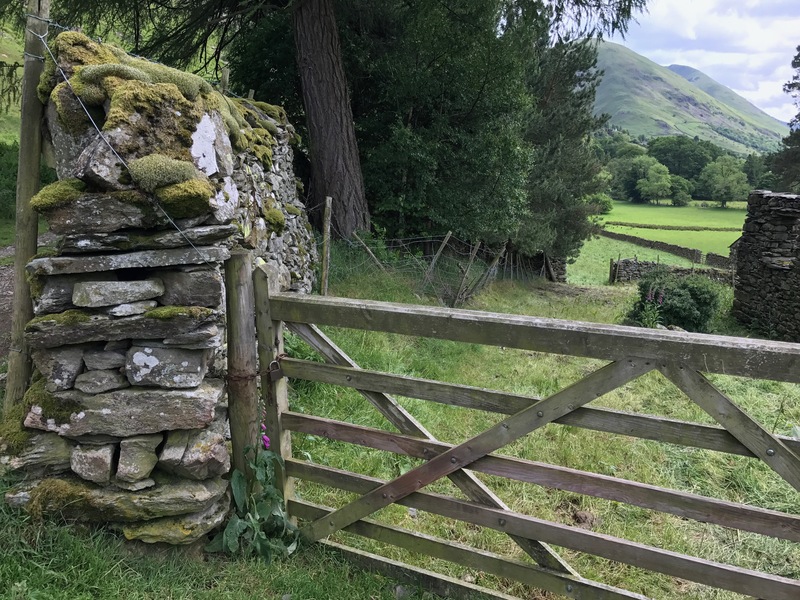 The Lakes district is beautiful and has stone walls everywhere. In fact there are stones and rocks everywhere. It’s an elevated area that has barren mountain tops with scree and rocks tumbling down to the floor of the valley. Sheep and tourism are the major money earners. 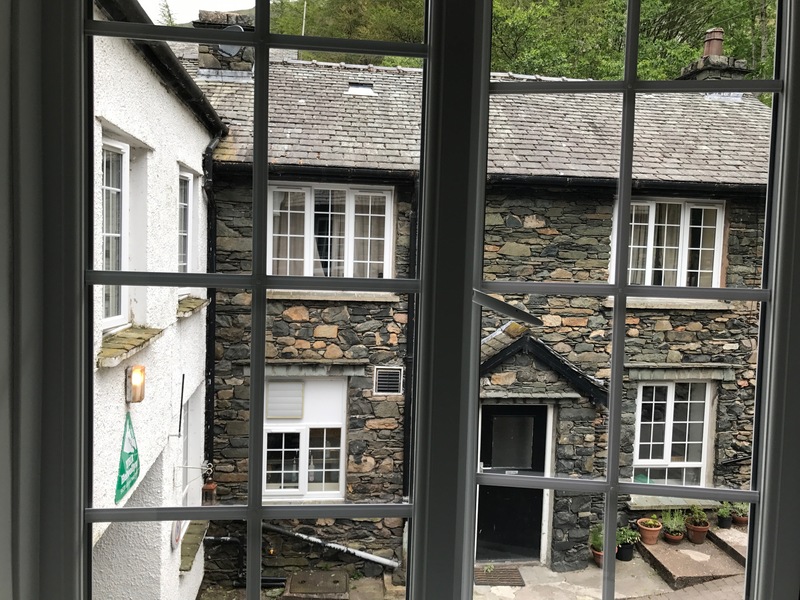 The photo above is the view from my room at Glenridding. 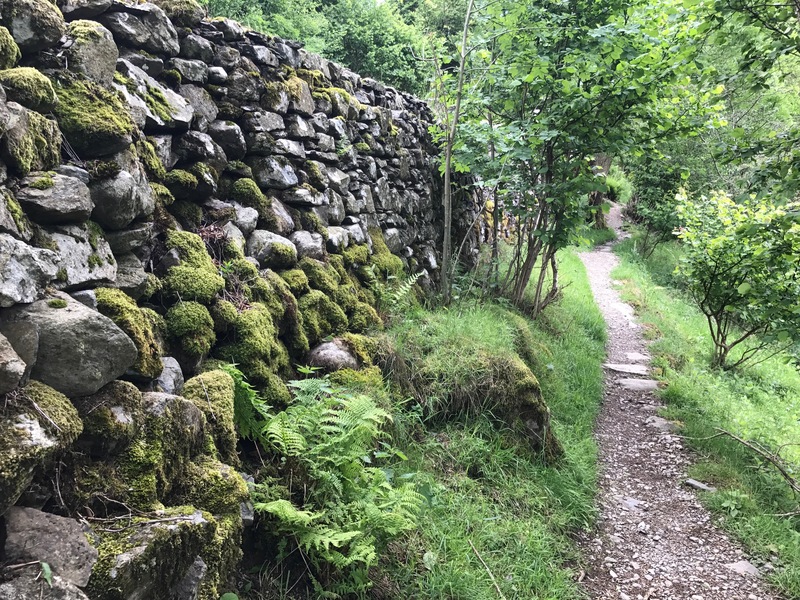 Whilst there were no bird watching reserves at Glenridding, there were many walks. The following are shots from a three hour walk I took. Moss and ferns growing on some of the older stone walls is very nice. After leaving the rocky region of The Lakes District, I visited the RSPB Leighton Moss reserve. Having a coffee and watching a bird feeder through a window, I managed to get three new birds on my list ! The English love feeding birds and a feeder is a great place to see new species . The cage is to keep Squirrels away from the food. 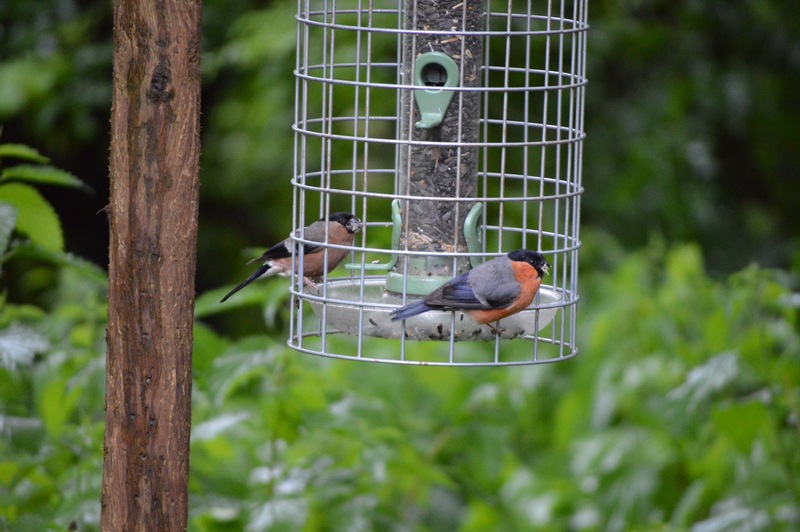 The birds on the feeder are Bullfinch, (tick). 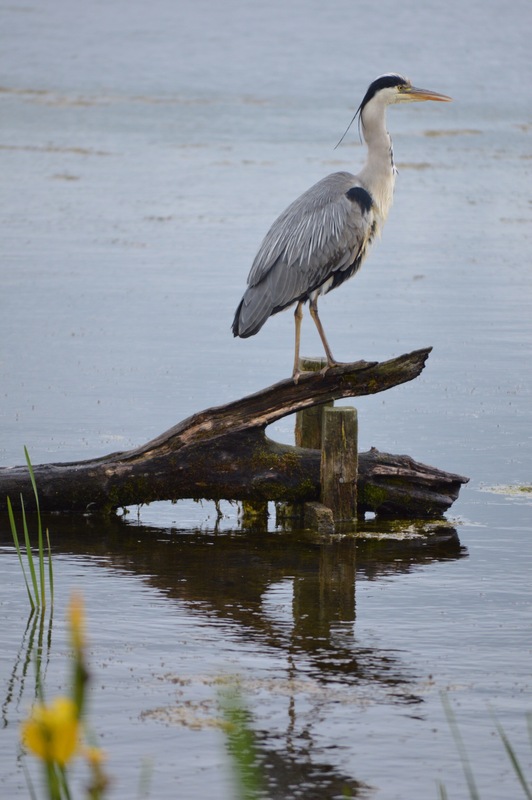 That’s a Grey Heron seen from a bird hide. The hides at the RSPB reserves are top quality, you could almost live in them. It’s easy to spend an hour watching all the wildlife come and go. 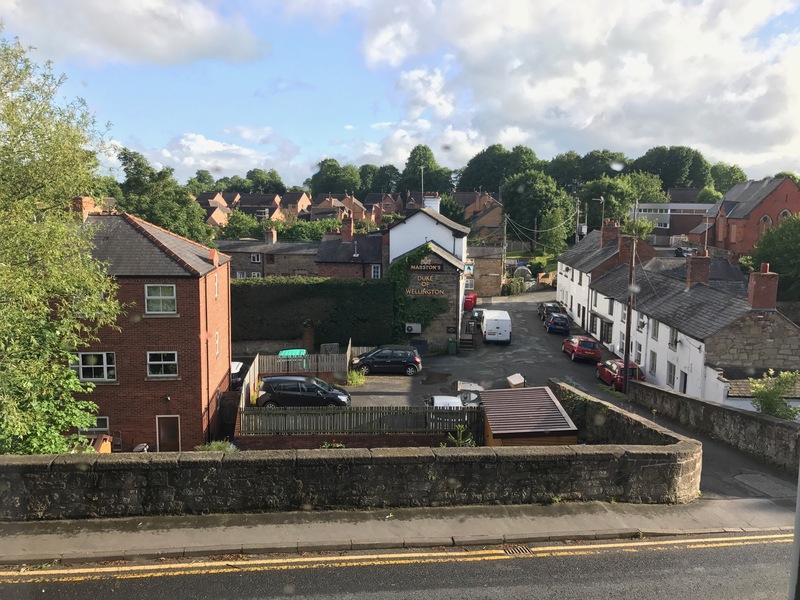 I didn’t stay at the hostel in the Lakes for the two nights planned, instead I stopping at the Welsh town of Ruabon located on the way to my next locationand. I slept in an oldish pub and above is the view from my window. I’ve spent a lot of time driving in the past couple of days and getting lost trying to find my hostel and reserves. 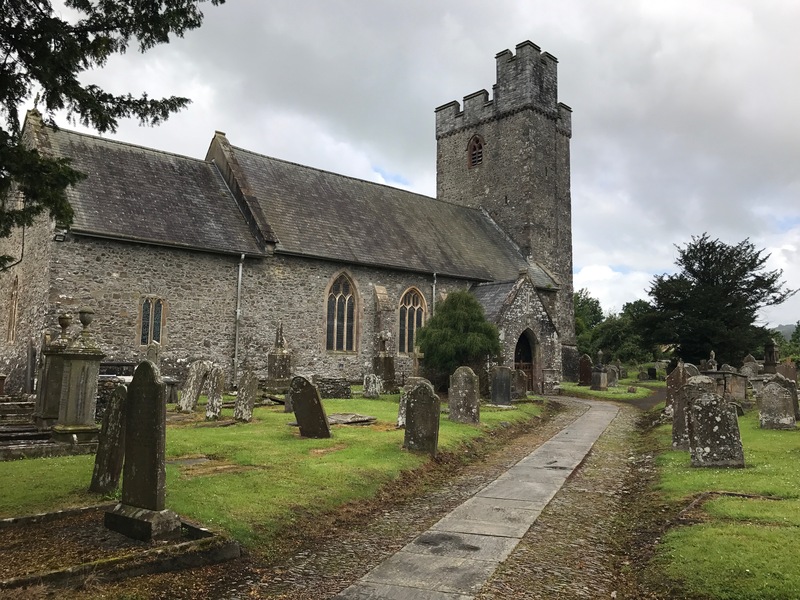 The Welsh roads are small and a bit all over the place, a bit like the tomb stones next to this church. I wonder if the local church goers give a greeting to those who have passed away and lay along the path leading to the church. This church was still a going concern but there seems to be minimal maintenance to the graves. Poole, situated in Dorset is where I rest my weary head after I leave Wales. Once again, beautiful pictures Mal, it all looks amazing…!! Hope you are enjoying Wales. I loved it. The boys arrived safely in Uganda yesterday. Safe travels. Gail.